Will the world soon become entirely cashless? Mark has written another whole book on the coming cashless society. For years he has been warning us that cell phones will most likely play a part in the Mark of the Beast. He points out that people today just can’t live without their cell phones. People are buying now solely via their mobile devices. Society is leaving cash behind. But, does that mean that in the end times the Bible predicts the world will go entirely cashless? Mark Hitchcock: Bear in mind the Bible never directly says the world is going to become a cashless society. But, there are clues. The entry point for this idea can be found in Revelation 13. This chapter talks about a Beast, who is also called the Antichrist, and he will become the final human world ruler. The chapter reveals that no one under his rule will be able to buy or sell unless they take his mark, which is either his name or number involving 666 placed on their right hand or forehead. Stop and think about that fact for a moment. If there’s cash, people will be able to purchase on the black market. The only way a person could control all of global commerce is by instituting some sort of cashless society. I think since the Antichrist is going to control world commerce, that indicates to us that he’s going to be able to control it through a cashless system. And, that’s basically where we are going. Literally everybody I know under 30 doesn’t ever carry money. I’ll be buying gas, and I pay cash for everything, but look over and they’ll be buying something that is just $3, but they don’t have cash for it. So, it’s interesting with the younger generation, that’s the way they purchase. Millennials are already cashless really in many ways. Many very practical reasons exist for going cashless. For one, electronic cash prevents counterfeiting. Just think of all the disease that comes from handling money. Without cash the government can dry up the funding for the drug trade. So, there’s all kinds of logical reasons for going cashless. The main reason the world will become cashless is because it allows one man to control the entire world’s economy. Nobody can buy or sell unless they give homage to the Antichrist. To control people, he’s going to have to institute some type of electronic system in order to control their money, and therefore their basic necessities. And again, that system is the very system we today are moving towards, and moving towards very, very rapidly. Many people speculate that the Mark could either involve a microchip, or a tattoo, or both. A tattoo would make sense because the Apostle John could see it in order to describe it. The Mark was visibly on the skin, rather than in the skin. Tied to an electronic system, the Antichrist then could cut off people’s money supply with just the push of a button, and that person would starve. A cashless system almost guarantees obedience. Today we live in such a time period when the technology is there to actually make this Mark happen. How would the Mark system work? With phones possibly. Your phone even now is your gateway to ecommerce. Your thumb print can go along with that for security, or something else that identifies you, such as an iris scan. Biometrics help make sure that the person who’s got the phone is the owner. Now almost everything can be done from a smart phone. I remember years ago when I was traveling on Southwest Airlines for the first time. Southwest Airlines boasted they had become cashless. Cashless is where all facets of society are definitely headed. Again, the Bible never says there is going to be a cashless society, but it says one man is going to dominate and rule over the entire world economy, and no one can buy or sell without taking his mark. I think that situation mandates some kind of a system that can be utterly controlled. And, it’s not even hard to imagine, for we are seeing this very thing happening right before our very eyes. But, I can assure people that there is no way that they can take the Mark of the Beast today? So many people are terrified that they might accidentally get chipped and take the Mark of the Beast. Nobody has to worry about accidentally taking the Mark of the Beast, because, first of all, we’re not in the Tribulation period yet. The Antichrist is not here ruling. We don’t even know who the Antichrist is. Another thing is, people when they take the Mark of the Beast will only be accepting it voluntarily. By taking it, they are going to be giving homage to the Antichrist. So, nobody can accidentally take the Mark of the Beast. And, nothing today is the Mark of the Beast, because the Antichrist isn’t here yet. 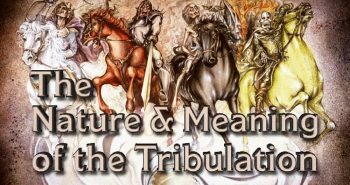 We’re not living in the Tribulation period. We just cannot take the Mark at this time, either on purpose or accidentally. Think about how good technology has been for mankind. Technology isn’t inherently evil. Technology isn’t evil, it is just how it’s going to be applied in the future for ill purposes that technology becomes a problem. Even a national ID card would provide convenience. We shouldn’t be paranoid thinking that every technology that comes along is leading to the Mark. No technology we see today is the Mark of the Beast, so people can relax about it. So, please, don’t be worried about accidentally taking the Mark of the Beast, because you can’t. The Mark won’t even be instituted until the middle of the Tribulation, halfway in, and Christians will be raptured out long beforehand. Hi Nathan…The question I’m asked more than any other is “do you really believe the earth is only 6,000 years old”. What is the best answer? Has the earth really been here for millions of years and is there some time frame we aren’t aware of? Help! 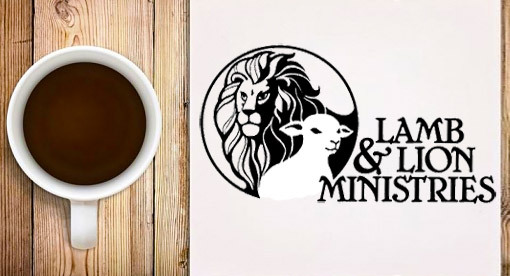 Lamb & Lion Ministries supports a Young Earth model. We believe it’s important to believe what the Bible teaches or there is no foundation for our Christian faith. Two things in particular make me disbelieve an “old earth” model. For one, every day of Creation goes out of its way to say “there was evening, and there was morning.” Interesting side note that the day started with an evening, which is what the Jews have continued to use in their calendar, with the days starting in the evening. Second is the creation of plants on Day 3 before sunlight on Day 4. A plant could live a day or so without the sun, but without photosynthesis for ages the plant life would die quickly. There are many other arguments for a “young earth,” but for me these are the primary. That and I trust that God has accurately recorded the events He witnessed first-hand and in doing so gave us the 6,000 year age within the Bible’s genealogical records. You’d probably enjoy the series of shows we did with Dr. Jobe Martin on the Creation – http://www.lamblion.com/television/programs.php#Creation. Also check out this wonderful minute-long series “Creation Minutes” at http://www.creationminute.com. The old Earth will pass away and the new Earth will be built by the kingdom of God. Its a transformation process that requires everyone to be born again into a direction that God would approve of if He were here in the flesh. In the End Times people will think good is bad and bad is good. A cashless society with an RFID chip in everyone solves every problem mankind has ever had or ever will have. Nathan Jones needs to wake up, look in my wake and listen to only Me, anything less would be uncivilized. Lots of interesting stuff here. Regarding the Mark of the Beast: I am worried for totally disabled people. For example, I have a dear friend who is wheelchair bound, severely disabled and cannot speak and though he’s intelligent and an otherwise good communicator, I don’t know how much of true Christianity he understands. It’s reckoned by his carers that he has a learning difficulty. Even though he’s a church-goer, he does not believe in the Rapture and gives the impression he doesn’t want to hear about it. At the church he attends the Rapture’s not even mentioned and many of their doctrines, compared to the Bible, are iffy. I think it would be easy for him to be duped into taking the Mark as he has a proclivity to want to appease people. What do you think his chances would be of escaping the Mark? Any church going Christian who is not literally looking forward to unite with Him, will accept the “Mark of the Beast” considering all the benefits that comes along with it. It is highly likely that along with the “Foolish Virgins” even the very “Elect” will be deceived into accepting the “Mark”. A lot of Churches either erroneously and some ignorantly teach that “you will be forgiven if you take the “Mark”. Bitcoin? Just putting this here to speculate. In reality Bitcoins decentralized purpose reduces control of spending. But if the crypto future leads to the use of one coin that ultimate gets centralized by a hack or something, then now you have a controlled currency. With so many currencies however, I doubt everyone will use the same one. The cashless society is only a few years away, it will be brought in by a communist system after the western system is broken down. The truth of the earth’s age is not relevant to anyone, as we are all passing through this valley of the shadow of death, the only relevance to anyone should be how to escape death, and Christ is the only way. However, the age of the earth has been used to destabilize the church as the church has been ignorant of a small but important biblical detail, and that detail, Satan, was not so ignorant about, and that is, after God Almighty created the earth in a described 6 days His masterpiece of creation, man, had no death to content with, nor any other part of His creation, thus, from conception, to the time death & destruction, Adam & Eve were on earth with God for many millions of years, alive and forever alive, never sick, never in any danger of dying. Until that fateful day they attended the tree that was forbidden for them to eat of and they ate. This became the start of time as we know it. Before that day, no one in the world we are in now can imagine how wonderfully amazing it was before sin and death entered the creation of God. 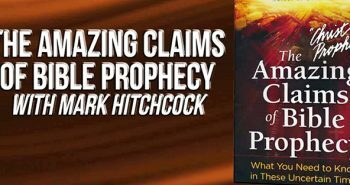 Unfortunately, the church has fallen victim to a scientific ploy, an argument that’s been formulated by Satan’s knowledge of the beginning, yes, he’s cunning, and he’s used a part of earth’s history to bamboozle Bible believers. The Bible is true, it’s just not written for the proud of heart. It has been 6 thousand years since Adam & Eve allowed sin and death to enter God’s creation. Where are the dinosaurs in the picture? Well, they were God’s special creatures, His pets so to speak, He made them for His own pleasure, but, without Him around after the fall of mankind, His special creatures were doomed as was every other part of His creation. Satan wanted to be God, he was given a chance at it by Adam & Eve, his final move is to have total control by use of physical survival by way of “electronic money” in exchange for worship, an underhanded move, the same as how he invaded in the first place.